3 Bedroom Flat For Sale in London for Asking Price £3,750,000. WATERSIDE - Overlooking St. Katharine Docks and possessing some of the most outstanding views of the City’s skyline, this super rare 1861sq.ft. penthouse also provides an additional 1847sq.ft of terraces which really does need to be viewed to be fully appreciated. Widely considered to be the best penthouse in the development, the space offers a treble aspect glass walled reception room with direct access to three large terraces. Has three double bedrooms, three bathrooms, plenty of built in storage and two private underground parking spaces. This penthouse also has the added bonus of having received planning permission to extend both of the main roof terraces adding circa 1000 sq.ft should one wish. 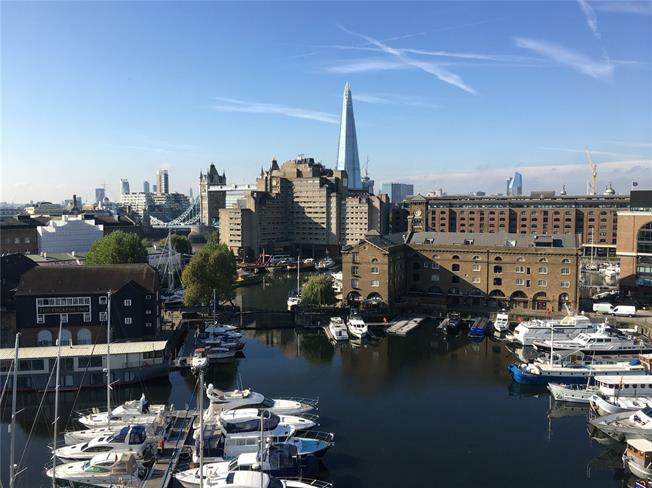 Sandpiper Court forms part of the popular City Quay development, which is ideally located for the amenities of St. Katharine Docks and offers communal gardens, 24 hour concierge / building manager and underground car parking.